The lovely Marie Lu (who happens to live on my side of the world) was gracious enough to let me corner her to discuss her greatly buzzed debut novel, Legend. Byrt: What’s the elevator pitch for Legend? 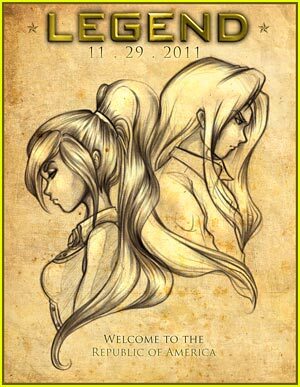 Marie: A teenage criminal versus a teenage prodigy in a cat and mouse game, in a dark future United States. It’s like Robin Hood meets Blade Runner. Byrt: So what’s wrong with the world of Legend? Why have things turned so bad? Marie: It’s set a hundred years in the future, in a world that is very flooded (the weather is very different from what it is now) and very crowded. Think Blade Runner – that’s a pretty good vision of what the Los Angeles of Legend looks like. Byrt: As someone who lives LA, did you use any locations that we know? Byrt: Did you blow up the 405? Please blow up the 405. Byrt: YES. And as for the whole country, you split it east/west? Marie: I split it down the middle, from the Dakotas through Texas. The west half is called The Republic and the east is called The Colonies – and they hate each other! Byrt: So were there any historical echoes in this project? Marie: Definitely. The Eugenics movement that happened in the United States in the early 20th century was a big influence, as well as ancient Sparta and their habit of placing babies that were considered too weak to live out on a hill to die. North Korea was another big influence. It’s fascinating to see in real life how quickly a group of people can be brainwashed by their government, if the government has complete control over everything. Marie: A little bit. A lot of the division between the two sides (The Republic and The Colonies) came from what we’re seeing in American politics today, where the polarization has gotten to the point where it’s kind of ridiculous. There’s not a lot of logic to why the two sides hate each other, it just comes down to “I’m a Republican” and “I’m a Democrat.” People sort of forget why they’re fighting each other. That’s why The Republic and The Colonies fight each other so much too – I don’t think they really know why they hate each other so much anymore, they just have this innate hatred of each other. Byrt: So in Legend one of your characters, June, is essentially a genius – was that hard to write? Marie: Oh my gosh. I’m never going to do this again – I didn’t think this through when I created the character! Trying to write a person who is a genius when you’re not actually a genius is really hard! There was a lot of going online, and researching topics that June would know – I think I’m probably on the CIA watch list by now, just because of the nature of searching for things like: “assassination attempts in history”, or “how to make a bomb”. I’m sure there’s some Homeland security guy who thinks there’s something wrong with me… It was really challenging writing June – she’s very, very logical and detailed – but it’s also really fun. I’ve learned a lot. Marie: Day is very close to my heart because he’s a character that I’ve had in my head since high school, and I just never was able to find a good rival (or enemy) for him. He started out as this flirtatious, mischievous, roguish, Han Solo type boy – he’s always going against the law. He’s very smart but not incredibly logical, and sometimes he’ll do things just on instinct. He’ll leap before he looks. Byrt: Did you read a lot of Dystopia before you wrote Legend? Marie: I love The Hunger Games, and 1984 – but The Giver is probably my favorite out of all the dystopians I’ve read. Byrt: And what books influenced you growing up? Marie: I love reading fantasy and science fiction. Ssome of my favorite childhood authors were Richard Adams (Watership Down), Brian Jacques (Redwall), David Eddings, Robert Jordan – classic high fantasy. Ender’s Game is one of my most favorite books of all time – that influenced my writing a bunch as well. Byrt: So I hear the film rights to Legend have already been optioned? Marie: Yes, by CBS Films and Temple Hill (which is the production company that produced the Twilight movies), so very exciting. Byrt: Do you have any dream casting? Marie: I don’t have anyone specific that I can picture in my head – but if they could put Ben Barnes anywhere in it, for any role, that would be really awesome. He would make a good brother for June (actually I wrote that character with his picture in my head, so that’s exactly what he looks like…) But you know, this is all wishful thinking. Byrt: And now that you’ve finished book two in the Legend trilogy – can you tease a little bit about what’s coming up next? Byrt: Well thank you so much Marie for taking the time! Thanks again to Marie for chatting with me! 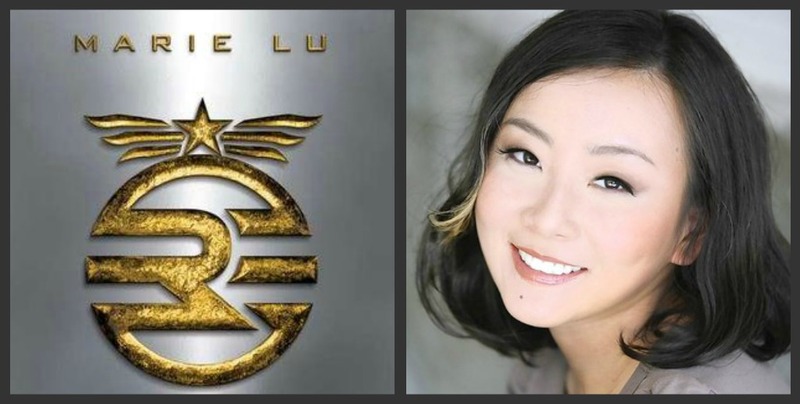 For more on Marie Lu, you can find her website here. 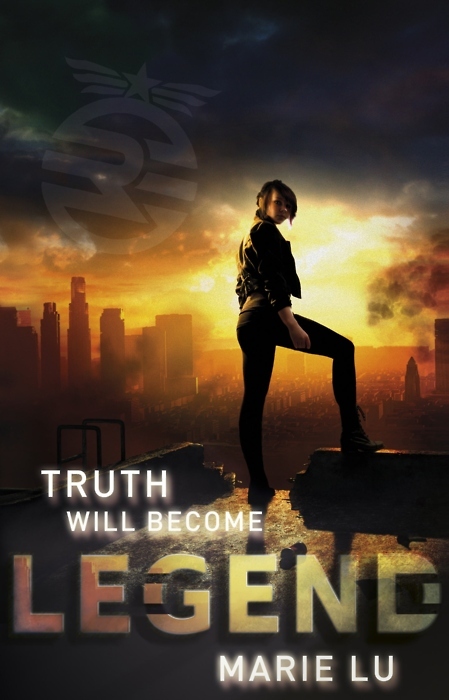 And you can read an excerpt from Legend here. great interview. yay for no more 405! and ben barnes is yummy. he should definitely be in the movie somehow.